The most noticeable thing about the Note8 is the huge screen: at 6.3 inches across, it's bigger even than the screen on the S8+. 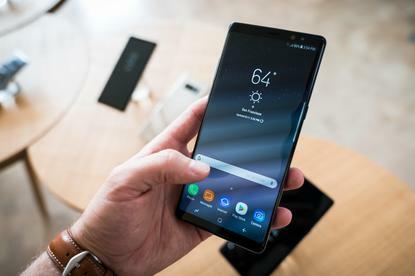 It shares the same edge-to-edge curved screen design that has featured on many of Samsung's recent flagship handsets but on the Note8 the curve is steeper so that a larger portion of the front of the phone is flat. That should make it easier to write notes on the screen with the phone's S-Pen stylus, which is one of the key features of the Note family. On the Note8, Samsung says the handwritten note function has been upgraded to include the ability to edit notes and add up to 100 pages. It can now be set as the always-on display. Air Commands are back on the Samsung Note8. The large screen should also help with another productivity feature: app pairing. This lets users group two apps together so they launch with a single click. Once launched, one app will occupy the top half of the screen and the other will be on the bottom to make multi-tasking between them easier. Samsung has also upgraded app support in Dex, the docking station that allows phones to be used with an external keyboard, mouse and monitor. Additional support for business apps such as Citrix, VMware, Go To Meeting, Zoom and Blue Jeans is included, as is a better gaming experience. IT managers also have more granular control over USB devices, with the ability to allow input devices while still blocking USB memory sticks. The S8 and S8+ shipped with Version 2.8 of Knox, Samsung's mobile device management and security platform. 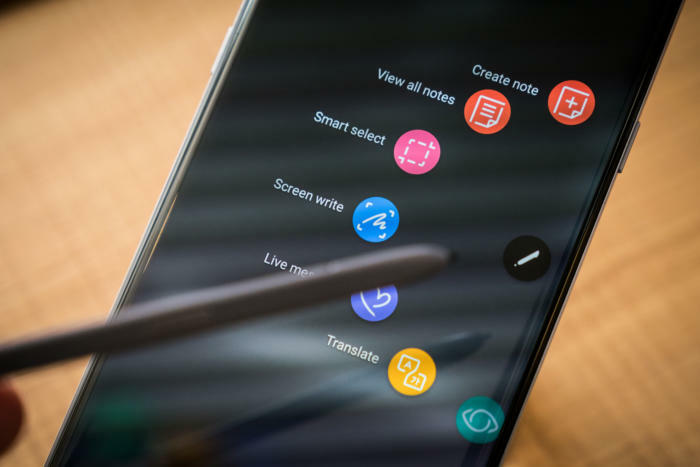 The Note8 will include Version 2.9, which gives administrators enhanced network analytics, and can warn users when background apps make screen captures, use SMS functions, or access the microphone or cameras. The Note8 has an 8-megapixel camera on the front and dual 12-megapixel cameras on the back. One rear camera has a standard lens and the other a wide-angle; both have optical image stabilization. 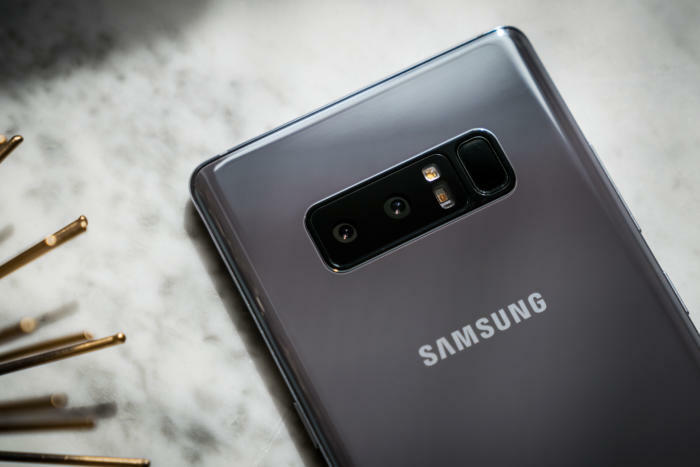 Samsung Note8 is the first Samsung phone to feature dual cameras, and the first phone to include optical image stabilization in both. As for that battery, the new Note8 has a 3,300mAh model, the same as on the S8 and slightly smaller in capacity than the 3,500mAh one in the S8+ and ill-fated Note7. The phone supports both wired and wireless fast charging. After the recall of the Note7 a year ago, it's not an exaggeration to say the Note brand name is riding on the new phone. Samsung is confident a new battery testing regime will ensure there are no problems. The more rigorous internal battery check includes enhancements to five existing tests and three completely new ones. And Samsung says the Note8 battery has been certified safe by UL, the global safety testing organization. And so far, consumers appear to have accepted the Note7's problems were a one-off. Despite the Note7 recall generating global headlines, Samsung hasn't seen a perceptible drop in sales. The flagship S8 and S8+ phones launched earlier this year, which also went through the same new battery testing process, have sold well and broke records in South Korea.